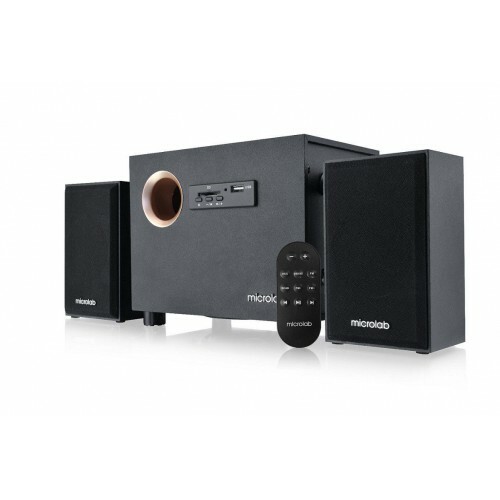 Mini classic 2.1 multimedia speaker with remote cotrol for convenient use. Small wooden cabinets produce crystal clear sound. It allows you to enjoy full range music playbacks. 2.1 speaker system in a mini vintage style,Wooden cabinets for perfect acoustic performance and crystal clear music experience, Bass reflex tunnel on frontal panel for deeper bass.Woofer driver outside the bottom of subwoofer cabinet.